Of course, I wanted Avery to have the full “Back to School” experience, so we went shopping! 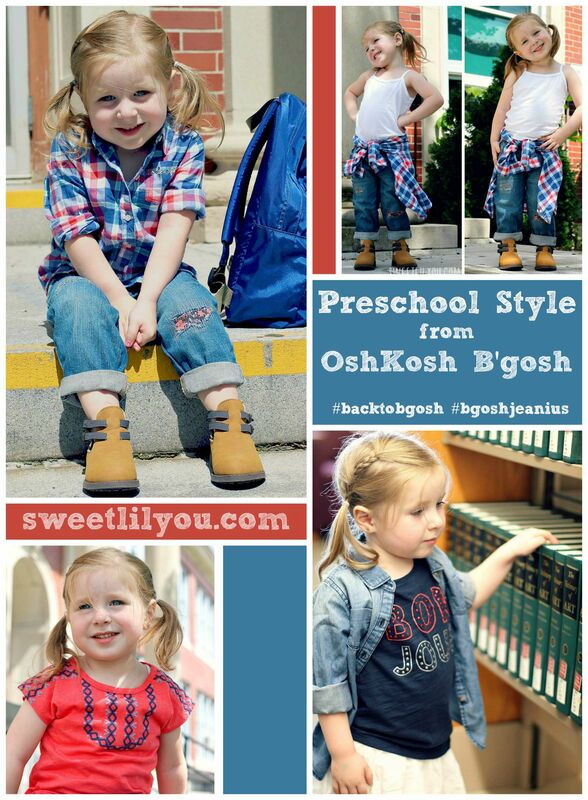 We hit up OshKosh B’Gosh, one of our absolute favorite stores! Their styles are on trend and have all the must-haves of the season, while still maintinaing the classic style and heritage we’ve come to know and love from the brand! 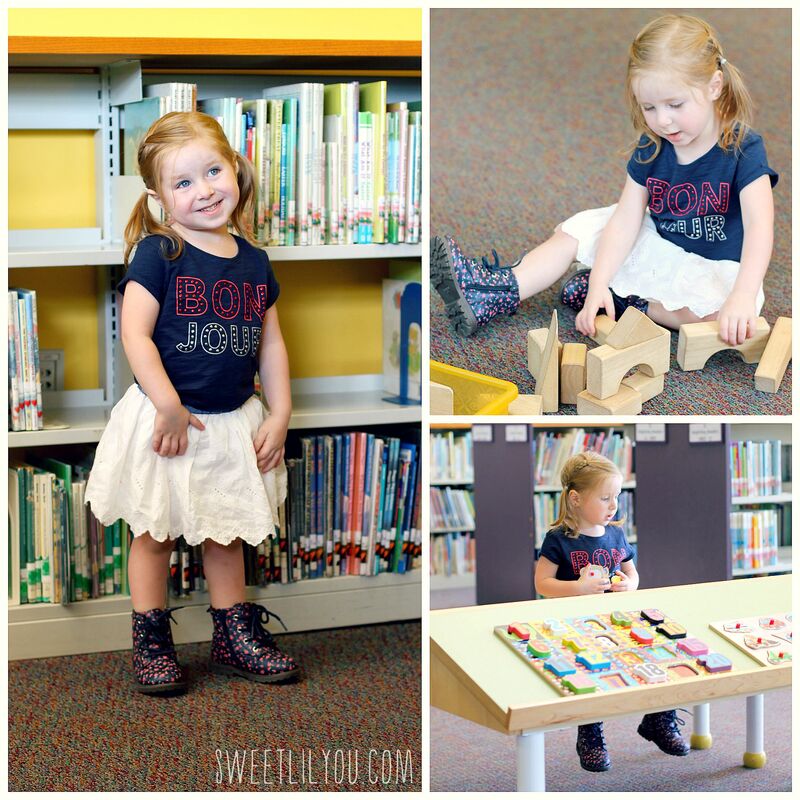 We loved all the bold prints, and bright colors that will get Avery to school in style! 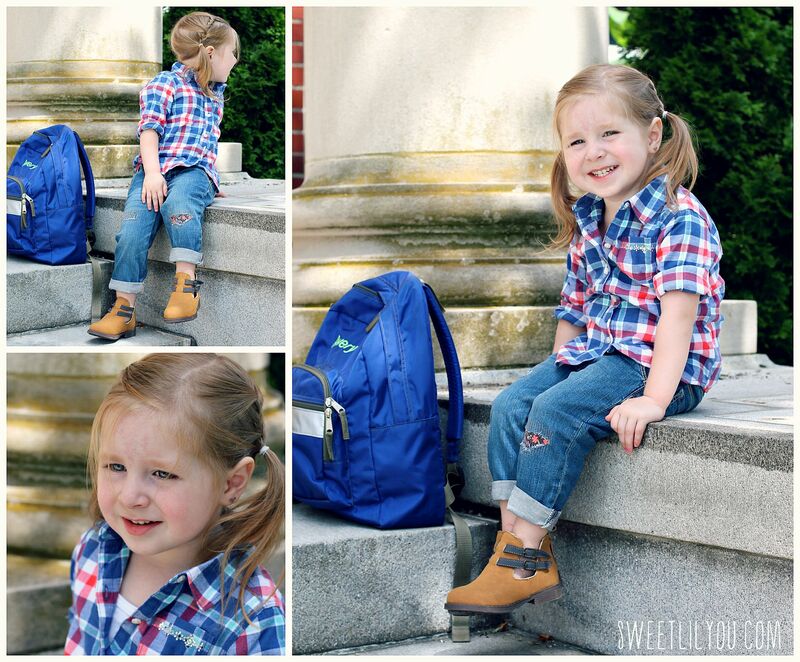 Since it’s still warm here in New England, I loved that OshKosh B’gosh had so many transitional pieces! Lot’s of ways to layer for cool mornings that turn into warmer afternoons! Looking at Avery in this outfit, I totally see myself Circa 1991. 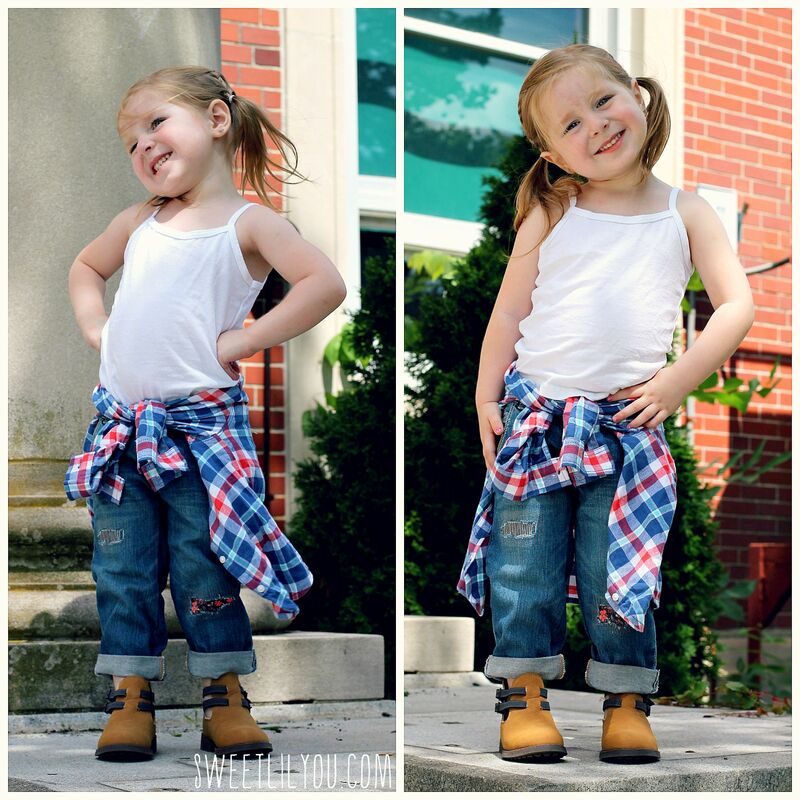 White tank, Tomboy Jeans, boots and a flannel tied around my waist! I remember going back to school shopping with my Nana, an annual tradition. She bought me a (very expensive) flannel shirt, and I asked her, upon leaving the store, if I could wear it home. She said I could, but nearly fainted when I proceeded to tie it around my waist! I’ll never forget her telling me that she did not spend all that money on a shirt so I could wear it like one of those “Grungy rock stars!” It’s just one of many back to school shopping memories that I think about every year! B’gosh Blue Jeans are back for the fall! 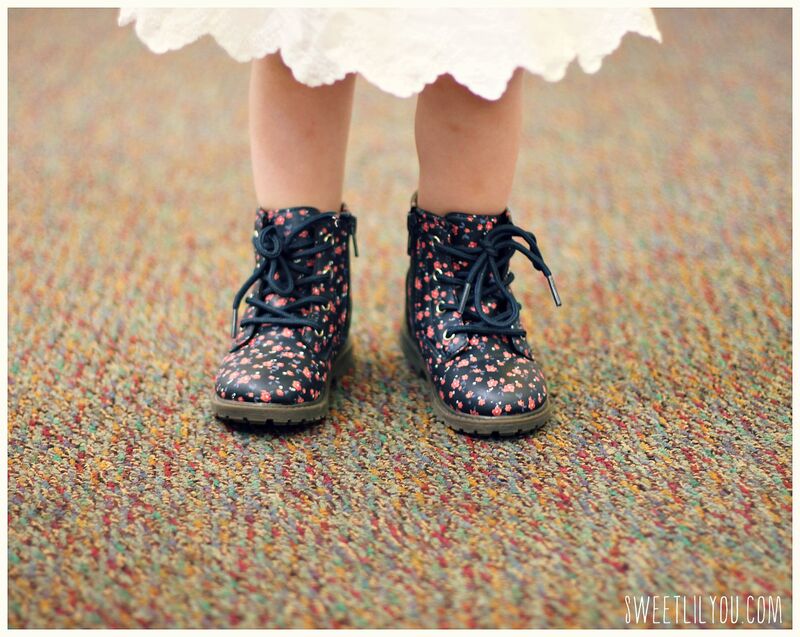 They are better than ever, and made for an active lifestyle (We know preschoolers are ACTIVE!) 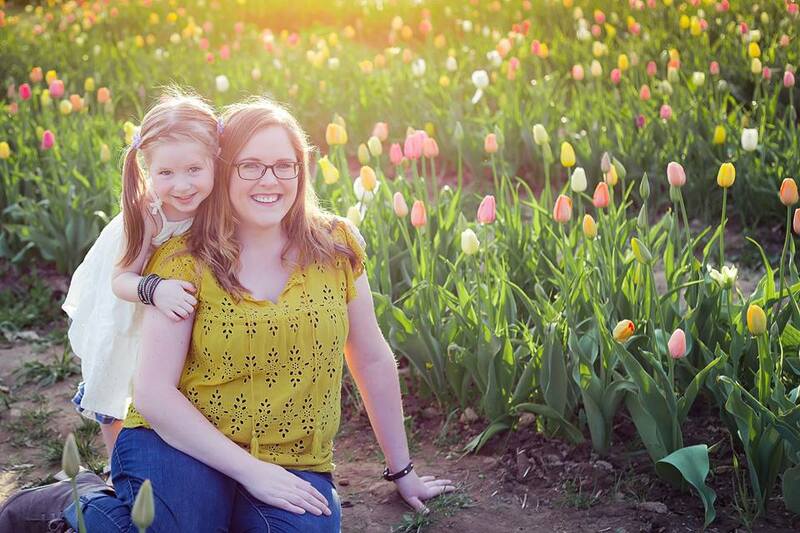 B’gosh Blue Jeans are our favorite because of their durability, and fit! The adjustable waistband is a must for us! 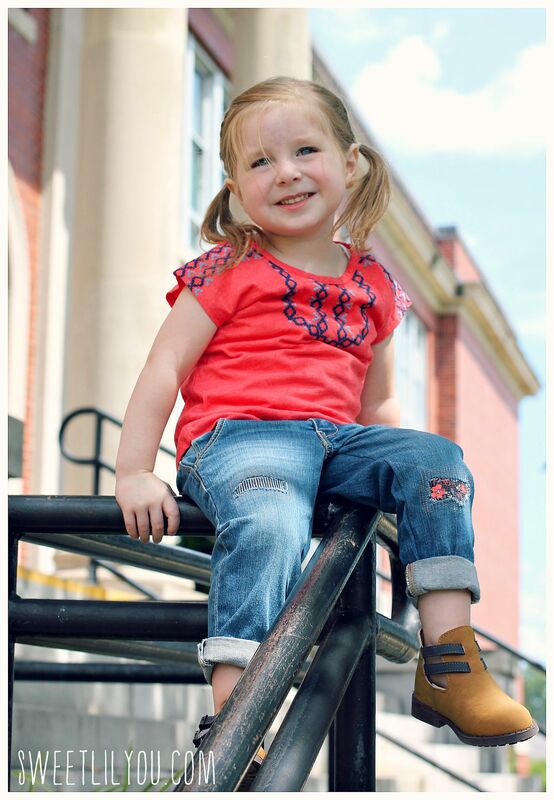 I grabbed a few pairs for Avery in skinny, bootcut and moto styles! 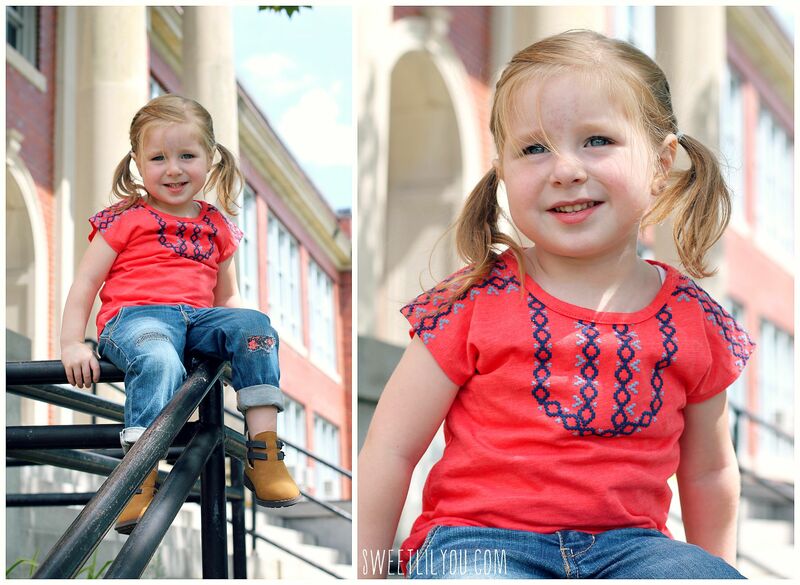 I absolutely loved this top (which also comes in blue) and it paired well with her Tomboy Jeans! Everything I purchased was perfect to mix & match! 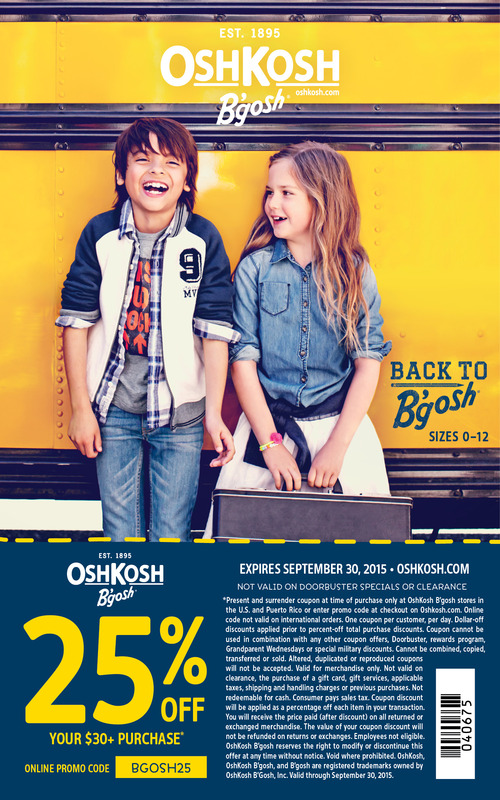 Another reason we LOVE OshKosh B’gosh is that the company is always giving back!! 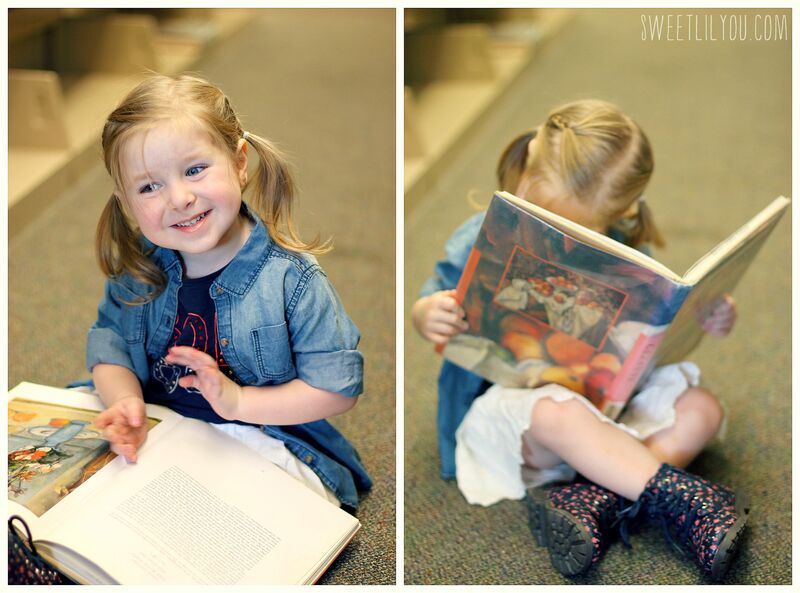 They want to make sure that all kids to have what they need for school, from blue jeans to books! That’s why they are partnering with K.I.D.S./ Fashion Delivers, Inc., and DonorsChoose.org through the B’gosh Jeanius Campaign. All denim donated from July 28 through September 16, 2015, will be delivered to local children in need and The Carters Charitable foundation will match all cash donations up to $50,000 and all denim donations with a new item of clothing. Avery LOVES her knew clothes and says “These are big girl clothes!” She’s right! My little girl is growing up! Those boots though!!! And that smile!! 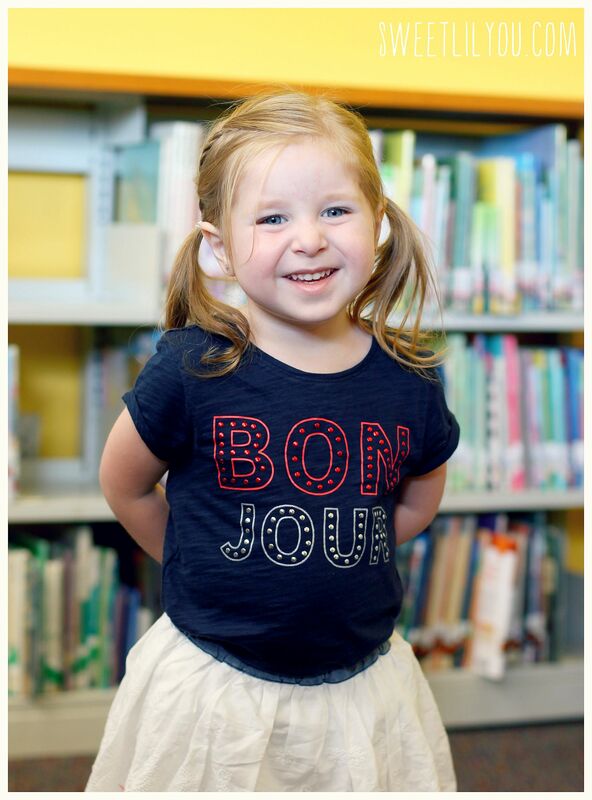 Along with school comes a big change in the schedule that Avery has had for the last two years! We wanted to try to make the transition as easy as possible on her, so we decided to make a calendar that would show all of her activities and school events each month! It’s a simple project that you can create with your child! Prepare the frame – remove the back and the glass so you’re left with just the frame. If your frame is glassy, you may want to scuff it up with sand paper before starting. It will make the paper stick easier. 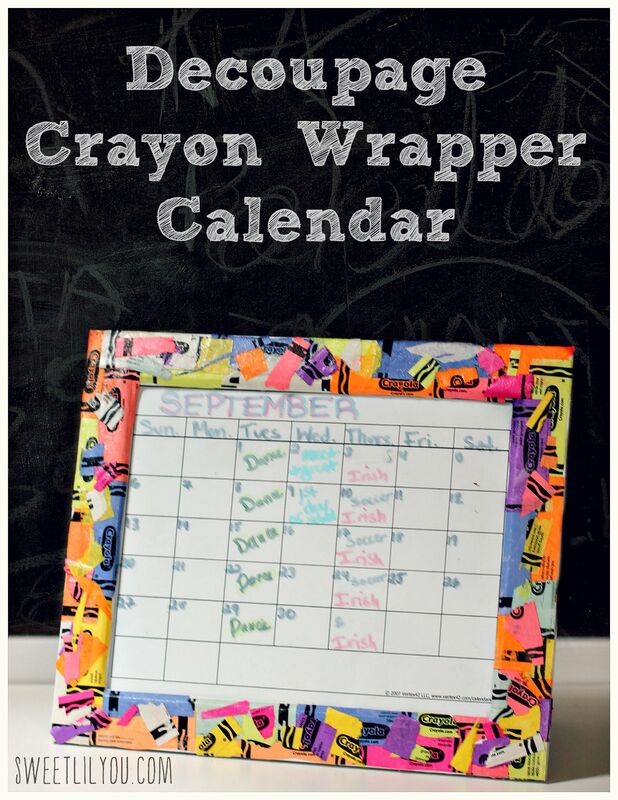 Prepare your crayon wrappers – remove the wrappers from crayons (we all have a box of old crayons laying around, but if not, just grab a box at the store! For this 8×10 frame I used the wrappers from a 48ct crayon box. Peel the wrappers off, and tear them up into smaller pieces. 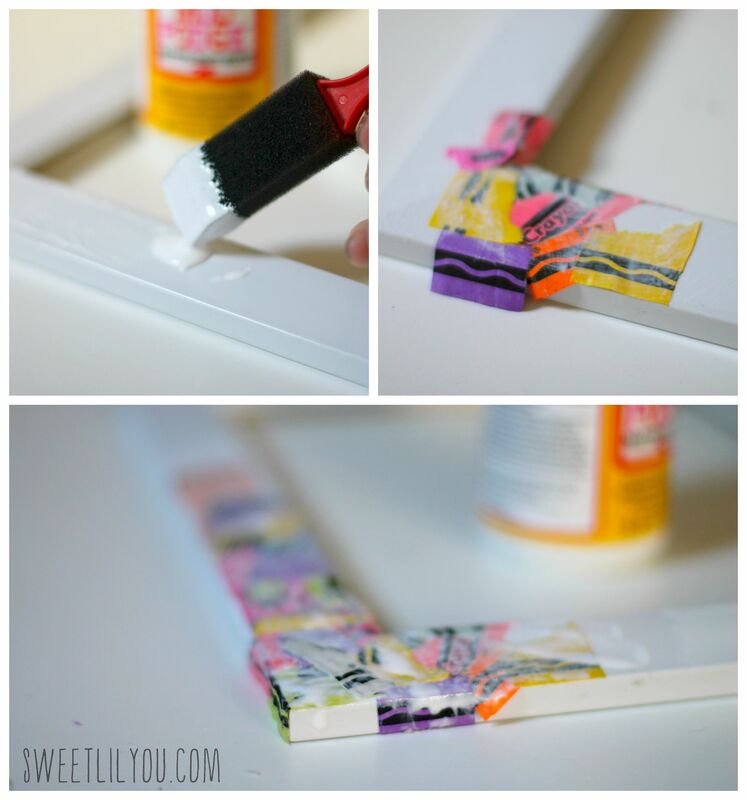 Spread a layer of Mod Podge over a small area of the frame. 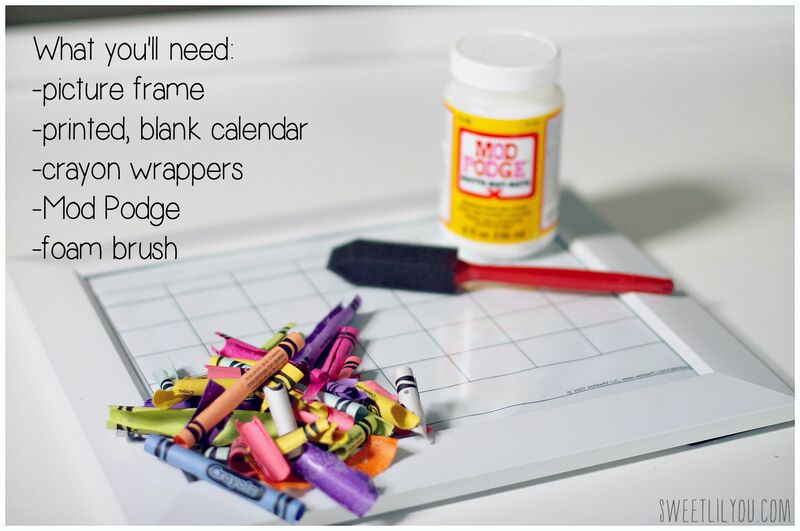 Place the crayon wrappers, and cover with another coat of Mod Podge. Continue step 4 until fully covered. Insert your printed calendar (you may need to trim it depending on the size of your frame) and put the frame back together. 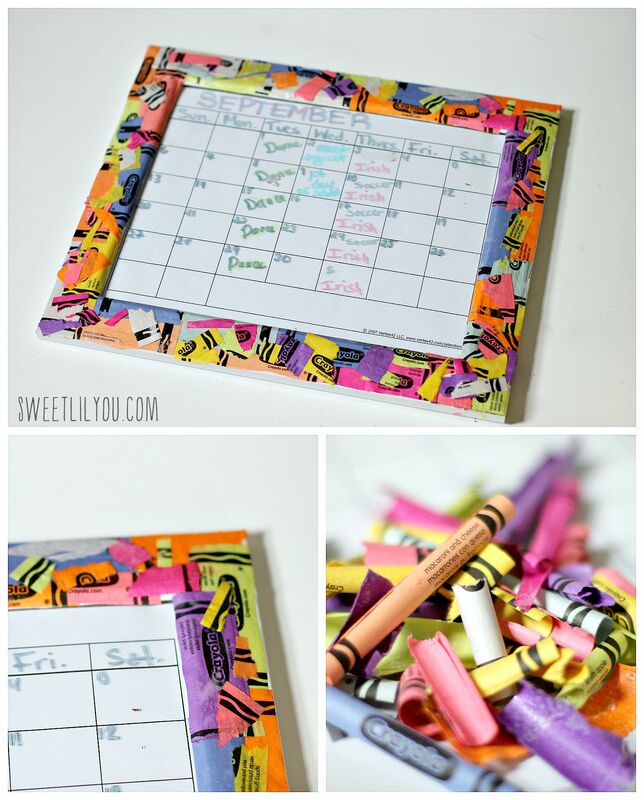 Using dry erase markers, write in month, dates, and all of your events. Display where your child can see it. 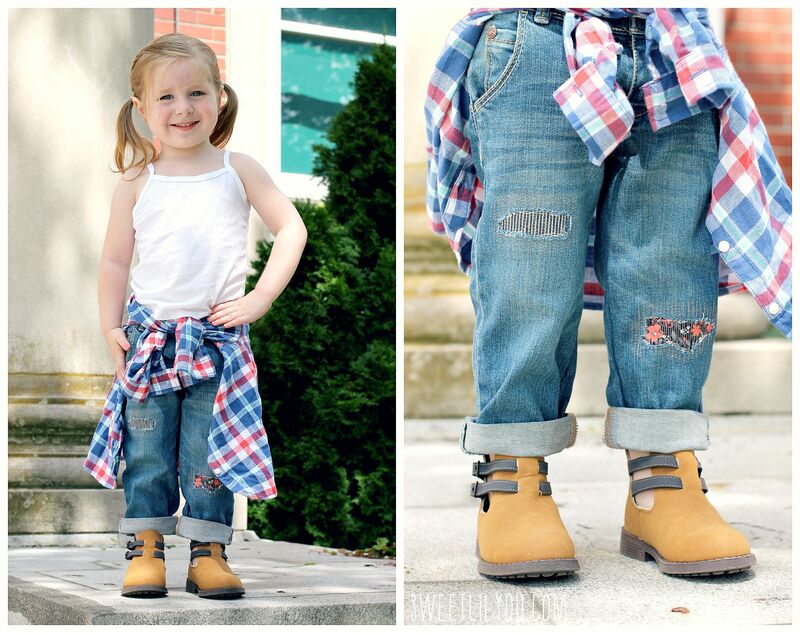 This entry was posted in crafts, Microfashion Monday, style, Uncategorized and tagged crafts, DIY, fashion, microfashion, oshkosh, style.